On May 27, 2016, a resident of Fairidge Drive in Kingsport contacted the Kingsport Police Department to report that her personal jewelry collection, with a combined value of over $15,000, had been stolen from her home. 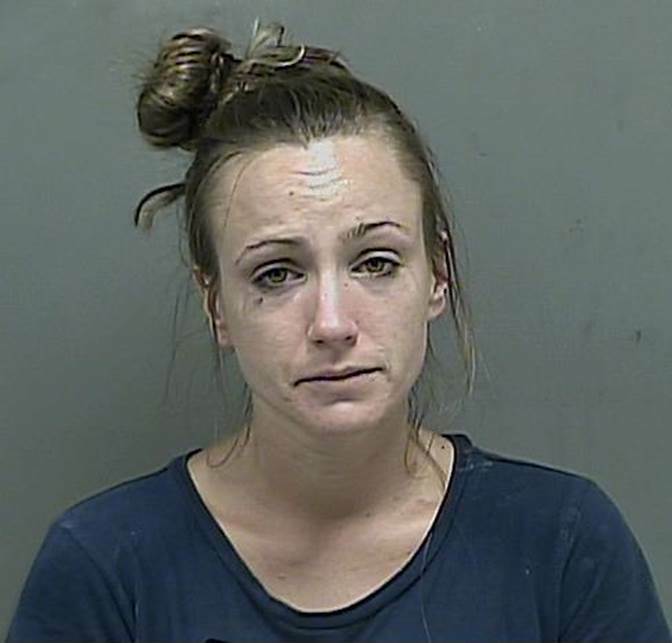 The resident told officers that her housekeeper, Jennifer Lauren Mahaffey, had cleaned her home the previous day, and had been doing so since January without incident; however, on that particular day, she had exhibited some unusual behavior. Ms. Mahaffey had strangely “mentioned money” off and on throughout the day. Her cleaning work was not performed to her typical high standards, and she left cleaning supplies scattered throughout the house, rather than putting them away as usual. Several drawers, which Ms. Mahaffey had no need or authorization to access, were found slightly ajar. Shortly after Ms. Mahaffey left, the jewelry was discovered missing. Through further investigation by the K.P.D. Criminal Investigations Division, Ms. Mahaffey was positively linked to the theft. Immediately after removing the jewelry from the residence, Ms. Mahaffey vandalized the jewelry by removing gemstones from several rings, earrings, and pendants. She then pawned the scrap gold, using her personal identification, at Gold Rush, located at 1700 Fort Henry Drive. Ms. Mahaffey’s husband later returned several of the stolen articles of jewelry to the victim, claiming he found them in his home and knew that they did not belong to his wife. While a significant amount of the jewelry has been recovered, several of the precious stones that were removed and several additional pieces of jewelry still remain unaccounted for. A warrant was obtained, charging Ms. Mahaffey with Theft over $10,000 and Vandalism under $500. On June 1, 2016 at approximately 11:30 AM, K.P.D. Detectives arrested Ms. Mahaffey without incident at her residence, located at 2873 Ashley Street. She was incarcerated in the Kingsport City Jail in lieu of a $10,000 bond as set by the presiding judge. She has since been transferred to the Sullivan County Jail in Blountville.